Distracted drivers, poorly maintained roads, and manufacturer defects are just a few of the problems that cause motorcycle accidents. Unfortunately, sometimes other drivers don't respect motorcyclists and that can make your ride unpredictably dangerous – no matter how skilled and prepared you are. That's why we're here. If you or a loved one was injured in a motorcycle crash, our law firm is here to help. No matter the cause of the crash, we'll get right to work for you. Our attorneys have experience with all types of motorcycle accident scenarios. Call us for a free legal consultation at 1-866-943-3427 or simply complete the form located on the right. If you'd like to chat with a representative online, please click on the box to the bottom right. Results matter. We've recovered over $1 billion dollars for our injured clients, and we can help you too. Don't hesitate to contact us for your free legal consultation. It's quick, it's easy, and there's never a fee unless we get money for you. After your motorcycle accident, time is not on your side. There are time limits to file your injury claim – known as statutes of limitations. If the statute of limitations expires, you won't be able to file a claim. No case means no compensation for your injuries and no money for your medical bills. Another important reason to contact us as soon as possible – so that we can get to work immediately to preserve evidence. Don't hesitate. Call us today. We're standing by 24/7 at 1-866-943-3427 to answer your questions and get you started on the right path. With over 35 years of experience handling motorcycle accidents, we're ready to get you the results you deserve. With over 35 years of experience handling motorcycle accidents, we'll protect your legal rights and get you the results you deserve. We're proud to stand up for motorcyclists when their legal rights are threatened. Just because you ride, doesn't mean you deserve less than your fair share of the road. Often motorcyclists get a bad rap even though the accident wasn't their fault. 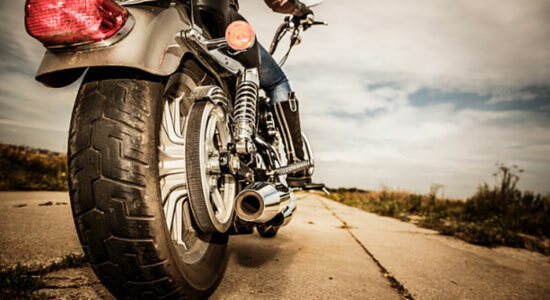 If you've been injured in a motorcycle accident, you're not alone. We'll fight the insurance companies, handle the hassles, and get you on the right track to the money you deserve. And, as always, there's never a fee unless we get money for you. Get your free consultation now by calling us at 1-866-943-3427, or by completing the form in the top right corner of this page. Chat with one of our representatives by clicking on the box to the right.